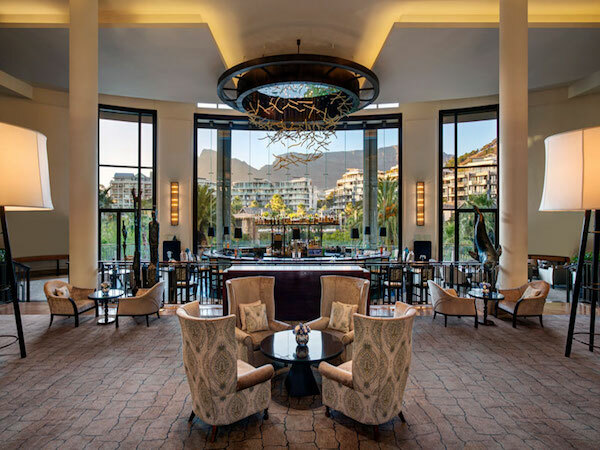 Going out to the Winelands is a great way to escape the buzz of city life, but sometimes it can be tricky accommodating all members of the family. These restaurants, however, welcome kids of all ages with arms wide open. 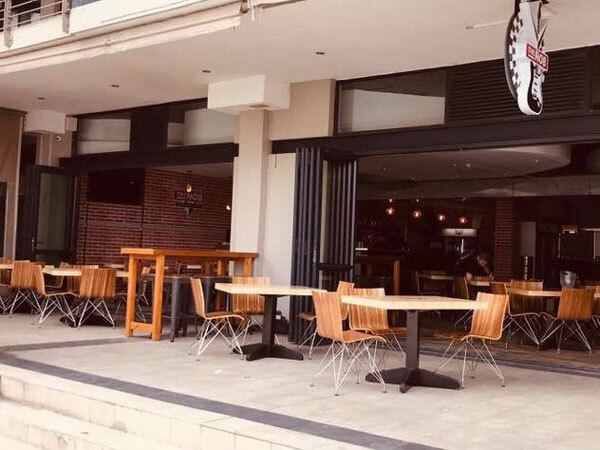 Bodega at Dornier wines tops the list for most families, as there’s a choice between a contemporary a la carte menu, tapas and satisfying flammkuchen, meaning there’s something for everyone. 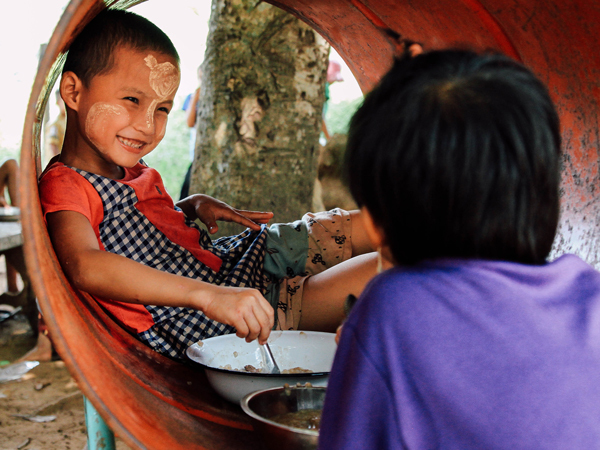 Play area: There’s a well-equipped outdoor jungle gym and sand pit. Kids’ menu: The kids’ menu is like a snippet of the adult menu, with options like fish and chips, beef macaroni and cheese, and flammkuchen. Child minders: None, but you can ask to be seated close to the play area. 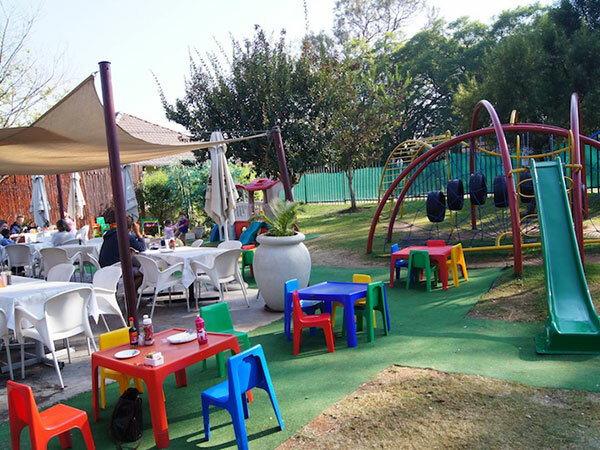 Admittedly, most of Boschendal is kid-friendly considering there are so many interactive and educational farm-related activities for the little ones, but if you’re looking to sit down in one spot, make it the The Werf Restaurant. The farm-to-table cooking is comforting and appealing to the whole family. Play area: There’s ample running space in the gardens around the restaurant, as well as a veggie garden for kids to explore. There’s also a small jungle gym in the picnic area. Kids’ menu: None, but kids will happily find something to eat on the simple regular menu. Changing facilities: Yes, in both bathrooms. Cafe Blanc de Noir at Brenaissance wine farm is a veritable kiddie haven, but they also look after the parents with a good pizza menu and even better wine list. Play area: The large outdoor jungle gym will keep kids happy for hours. Kids’ menu: The kids’ menu includes two pizza choices, margherita and ham and pineapple. Changing facilities: In the unisex bathroom. Other: This is also a great venue for kiddies’ birthday parties. This peaceful cafe serves up honest, satisfying plates of locally inspired food and offers a bit of quiet from the hustle and bustle of Franschhoek crowds. Play area: The outdoor jungle gym is shaded by trees and is safely enclosed from any passing traffic. Kids’ menu: Kids can choose mac and cheese, chicken strips or sausage and mash. Changing facilities: In the large unisex bathroom. This Latin-inspired restaurant offers glorious vineyard views and tasty wines to match. You have the option of sitting down at the restaurant, or you can pre-book a picnic for lounging on the lawn. It’s perfect for a fun day out in the sun with the whole family. Play area: There’s a small jungle gym on the lawn. Kids’ menu: There’s a kiddies’ picnic basket option that includes a peanut-butter sandwich or boerie roll, yoghurt and chips. Changing facilities: They have a dedicated baby-changing room. Child minders: None, but families with kids are always seated outside in the garden, where the kids are able to run wild on the lawn. This destination restaurant seems an unlikely spot to take the kids, but they have a few tricks up their sleeves when it comes to keeping the little ones out of mom and dad’s hair. The Tasting Room serves up clever and approachable pairings for their wines. Play area: The lush lawns give the kids space to run around and there’s an indoor playroom with toys and books. Kids’ menu: The Tasting Room offers a special kids’ pairing that includes healthy snacks and fruit juices. A kiddies’ tasting at Creation Wines. Photo supplied. Tokara is known for its outstanding food, in the restaurant and deli. While the restaurant may not be the best spot for your screaming tots, the deli will welcome them with arms wide open. Here, you’re able to snack on a cheese platter while you sip on one of the delicious wines. Play area: There’s an outdoor jungle gym, as well as toys and books available. Kids’ menu: The kids can choose items like French toast for breakfast, roast chicken and veggies for lunch and a chocolate brownie for dessert. Changing facilities: In the unisex bathrooms. Child minders: None, but you can ask for a table outside to watch the kids. Other: They also have high chairs available for kids who want to sit at the table. The view from The Deli at Tokara. Photo supplied. Farm-to-table dining is personified at Spier’s Eight restaurant. The seasonal and locally sourced menu is made up of veggie soups, hearty salads and a roast of ethically sourced meats. Play area: The restaurant terrace overlooks rolling lawns with a wooden jungle gym. Kids’ menu: The menu for little ones includes chicken and mash, beef strips with salads, and burgers. It changes frequently. Child minders: One is available only for hotel guests. 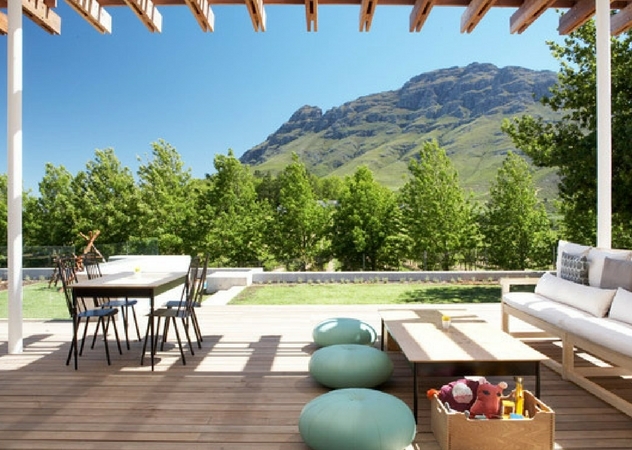 Al fresco dining – with a wide range of wine from the neighbouring farms – make this an ideal lunch spot for families. Play area: The cover outdoor play area features jungle gyms and a track where toddlers can put the plastic bikes through their paces. Kids’ menu: The usual suspects like burgers and pasta are available. Changing facilities: Located in the bathrooms near the tasting room. Child minders: There are friendly child minders in the play area. This fuss-free pub in the winelands welcomes everyone, young and old. 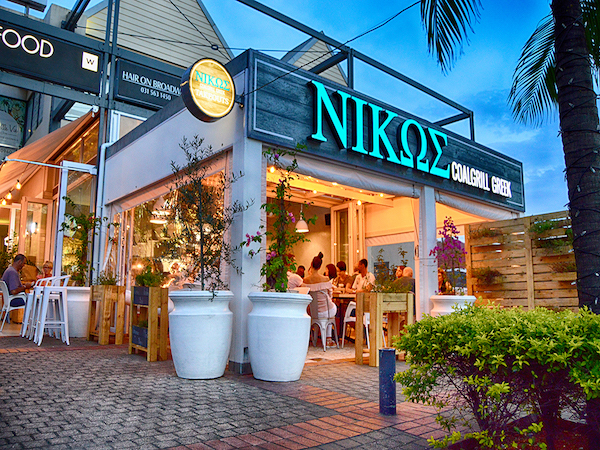 Parents can enjoy the buzzy vibe and the extensive menu that serves up grilled meat, burgers, pizzas and pies. Play area: There’s an enclosed outdoor jungle gym, swings and a jumping castle. Kid’s menu: It features burgers and chicken strips. Changing facilities: In a small area near the bathrooms that moms and dads can access. Other: They also have high chairs for little ones. 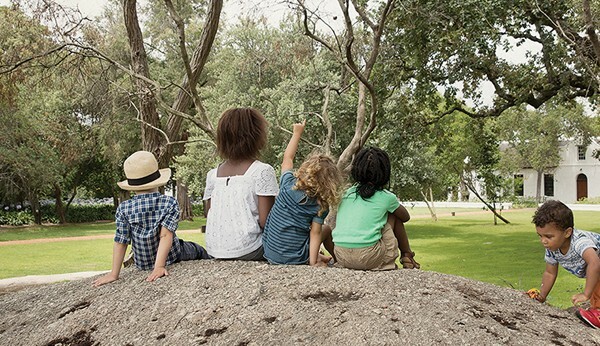 While parents can choose between wine and beer tasting or have a gourmet meal, the kids can get some much-needed outdoor play time. Play area: There’s a jungle gym on the estate, as well as horse rides and rolling lawns where they might encounter a few ducks. 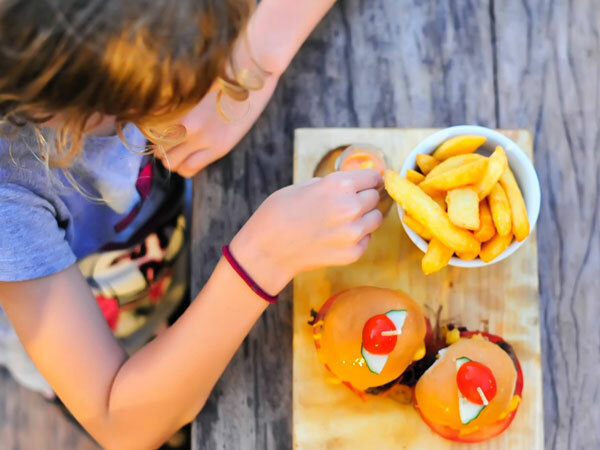 Kids’ menu: Depending on where you choose to dine, the Stellies Taproom offers family-friendly picnic fare, while Sunday lunches and Friday dinners are best enjoyed at the Kraal Restaurant where children under the age of five eat free. The generosity and welcoming spirit at Leopard’s Leap Rotisserie make you feel like you’re dining at a friend’s house, and what better way to enjoy Sundays than with a juicy roast chicken or pork belly? Play area: This gorgeous estate has a jungle gym and a massive lawn on which children can run and play. Kids’ menu: Kids can choose either a burger, a braaibroodjie or fish and chips. Changing facilities: In a separate changing room. The Mediterranean menu at this restaurant changes with the seasons, but you’ll always find something to keep everyone happy. Play area: There’s an outdoor jungle gym. Kids’ menu: For breakfast they can have croissants, yoghurt and fruit or French toast. Lunch consists of pizza or pasta. Changing facilities: In a separate room for moms and dads. Mont Marie is a country kitchen on a vast wine estate that serves an ever-changing menu of simple, seasonal food. 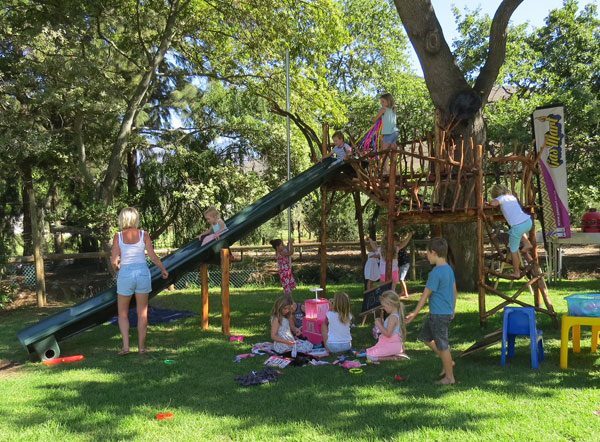 Play area: A wooden jungle gym at this Winelands spot will offer plenty of fun for the little ones. Kids’ menu: The menu features a dedicated kiddies’ section of chicken strips and chips, burgers, pizzas and ice cream. Changing facilities: There are two available that moms and dads can access. Enjoy al fresco dining overlooking the beautiful vineyards while filling up on tasty tapas and Laborie wine. Play area: There’s an outdoor kids’ play area and lots of running space. Kids’ menu: There’s no dedicated one, but the pizzas are very kid-friendly. 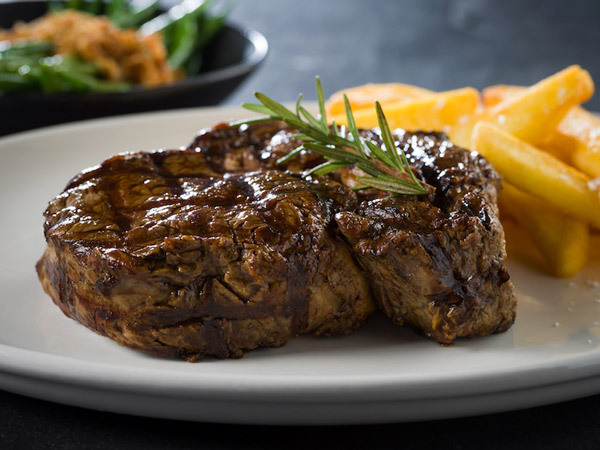 Skilpadvlei offers an extensive menu of South African classics like ribs, steaks and bobotie, as well as pizzas and sandwiches served with the estate’s wine. 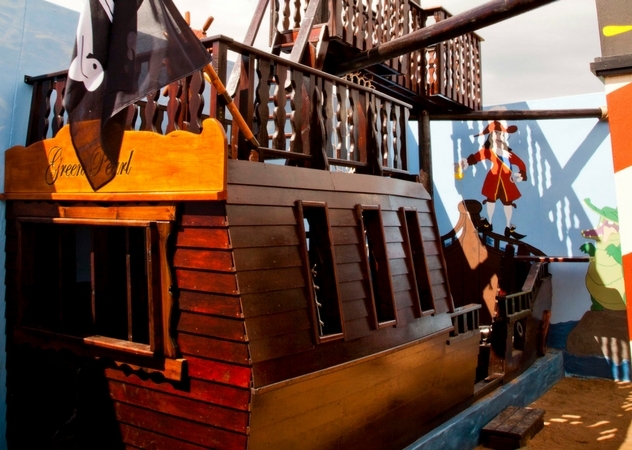 Play area: The indoor and outdoor play areas offer plenty of entertainment for children. 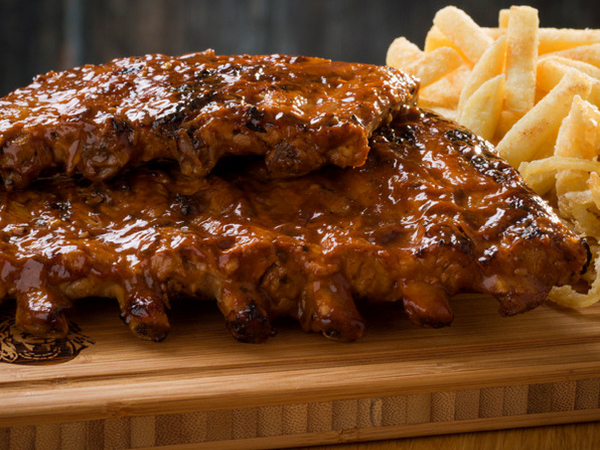 Kids’ menu: The menu includes meals of toasties, ribs, fish fingers and pizza. If you would prefer to hang out with your kids on the lawn, you can opt to order a picnic basket packed with farm-fresh goodies. Play area: There’s a wooden jungle gym near the picnic area. Kids’ menu: The kiddies’ picnic includes cold meats, root crisps and yoghurt. 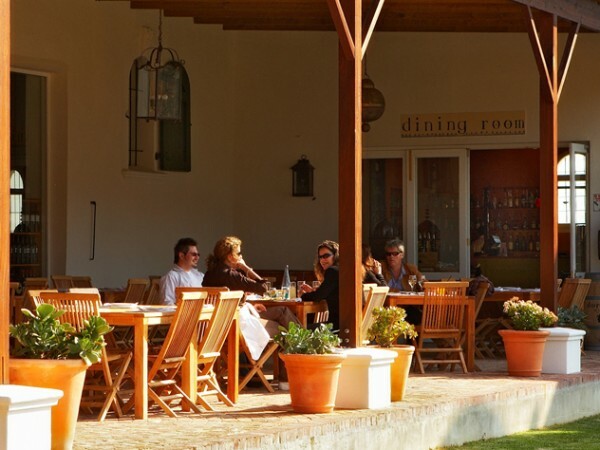 For a more laid-back Winelands dining experience, book a table at Stables at Vergelegen. It offers breakfast and lunch and serves estates wines with the contemporary food. Play area: Kids will have endless fun exploring the gardens, as well as playing on the outdoor jungle gym and wooden animals. Kids’ menu: Kids can choose from a decent menu that includes pizzas, burgers and spaghetti Bolognese. Changing facilities: Not at the restaurant, but the nearby wine-tasting facility has a full changing room. As if their MCC wasn’t enough reason to visit, you can look forward to cheese-and-charcuterie platters, salads and delicious roasts while overlooking the pretty estate. Play area: They have a jungle gym and free pony rides to occupy the kids on the weekends. Kids’ menu: The kids’ menu includes burgers, fish and chips and pizzas. Child minders: Not at the play area, but there is someone overseeing the pony rides. 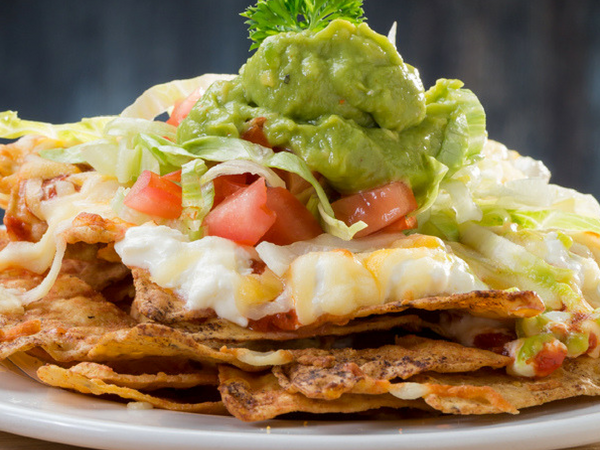 This eatery is situated at the tasting room of Franschhoek Beer Co. Enjoy great views of the brewery or sit outside under oak trees while you enjoy a menu created by Reuben Riffel and head chef Nick Oosthuizen. Play area: Sprawling lawns under the trees and a great jungle gym make this a perfect spot for outdoor fun. Kids’ menu: The kids’ menu includes summer fruit salad, fish and chips, Angus beef burger, a boerie roll or a toasted cheese sandwich. Changing facilities: Baby-changing facilities are available in the bathrooms. Child minders: There are no child-minders, but the play area is strategically positioned so that parents can watch their little ones from their tables. The jungle gym at Franschhoek Beer Co. Photo supplied. This casual bistro is the perfect place for a quiet lunch in the sun. The menu is a fun mix of pub classics and pizzas. Play area: The secure outdoor play area includes a jungle gym, trampoline and slides. Kids’ menu: They offer kiddies’ portions of most of the main menu. Changing facilities: In the ladies’ bathroom. Get away from the hustle and bustle of the city and enjoy simple, organic farm fare at Vredenhof. Play area: The play area is a covered and enclosed jungle gym, but there’s also a mini golf course and an outdoor chess set. Kids’ menu: The kids’ menu includes burgers, fish and chips, and pasta. The play area at Vredenhof. Photo supplied. 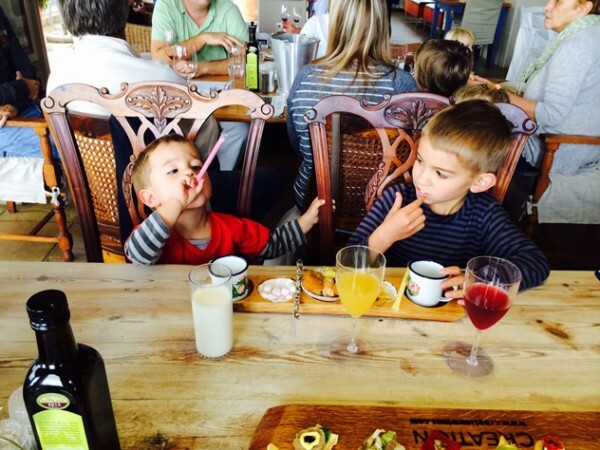 Weltevreden Restaurant is geared towards kids’ entertainment so adults can eat their lunch in peace. Play area: The covered and secure play area includes a jungle gym and slides. You can also arrange for the kids to make their own pizzas. Kids’ menu: It features chicken and chips. Changing facilities: There are two dedicated baby-changing rooms. There’s something for everyone at this beautiful estate. From modern and refined lunches to more laid-back picnics, the whole family is set to be entertained. Play area: They have a play park with a wooden jungle gym. Kids’ menu: Kids can have a picnic basket in the play area that includes a beef slider, a chicken drumstick, juice, chips and a brownie. If kids are sitting at the table, their options include burgers and spaghetti bolognese.